Just Call Me Spot! 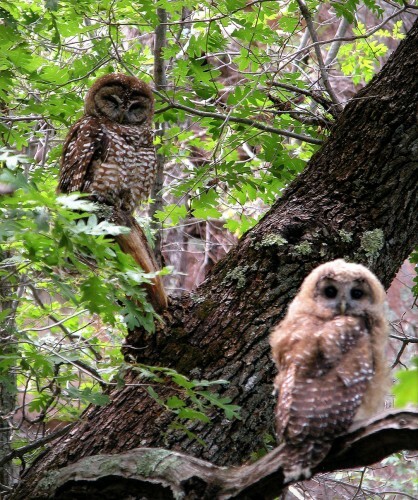 /Hawks Aloft Inc.
Down in the Gila Mountains, young Mexican Spotted Owls have left the nest and are exploring their surroundings under the watchful eyes of their parents. We thanks Mike Fugagli, our owl biologist, for sending in this image.